"The service was excellent, all other installers should take lessons from you guys the expertise and professionalism was second to none... Would highly recommend to anyone." Angie's List, Customer Lobby, Facebook, Google & Yelp. "Mounting the television over the fireplace was the largest part of the install and the primary motivation for hiring them. Much of the other work can be done yourself if you have the time." "I recently hired Honest Install to mount a TV above a masonry fireplace. Other vendors I contacted had workarounds for the work I wanted done but made it sound like doing exactly what I wanted would be very difficult. Honest Install simply took it on and provided me a quote that ended up being very accurate." "I would give Honest Install a 6 out of 5 for service, a 6 out of 5 in price for value, and a 10 out of 5 for my total experience with them." "You won't find a company that does better work and certainly not at their price. I have used Starpower in the past and while they do excellent work, they are significantly higher in price. Call Honest instead, trust me!" "They do what they say they are going to do without any surprises. When you need the job done right the first time at a fair price, call Honest Install for all your electronic installation needs." "They were prompt, professional and did what they said they were going to do and for the price that they committed to. Great customer service." "Mike called in advance to let me know they were running late well enough in advance for me to adjust. They came in, did the job in less than half an hour. I will definitely use this company again!" "They offered the best pricing out of all the local quotes I received, and they also got back to me quickly with my emails/questions. They really are "honest" which is hard to come by with businesses these days." "These guys hung 3 televisions, hid all the cords and made sure all our cable boxes and DVD players, etc., were properly connected, and [installed] surround sound. These guys were great." "They quickly surveyed the situation and had my TV mounted and ready to go in an hour or less. I will call them again in a heartbeat rather than attempt this again on my own." "They came out and helped troubleshoot the issue (bad HDMI cable) and saved me hundreds of dollars which would not have solved the problem. Drew and Brandon were professional and courteous." "I needed a speaker network and cable wiring installed. Other companies would not take the job unless I bought expensive products from them. Honest Install took the job at a very reasonable price." "The price couldn't be beat. They did work that was literally 1/10th the price that two other companies quoted me. I'll be using Honest Install for all my future projects." "Honest installed a flat panel 60" TV & a soundbar above our stone fireplace. They installed 2 new electrical outlets as well. All work was done in a professional timely manner." "After weeks of research in the DFW area I found Honest Install. The online reviews seemed almost too good to believe but I have to say they are a premiere home electronics install company." "They took fantastic care with my TV, and I especially liked that they left everything cleaner than it was before they got there. The customer service was amazing; their vast knowledge of products, installation, and business was solid." "They made sure to confirm all my choices to be what I wanted and they did an OUTSTANDING job. No detail was left alone. Everything looks fantastic and I couldn't be happier. And they were very friendly to boot." *Review count established from all online sources. 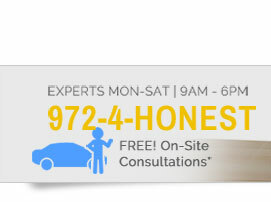 ✝Free on-site consultations apply to locations within standard service area. or an installation for your office or place of business. 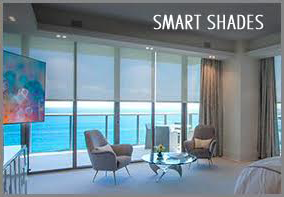 For non-wall mounted solutions Honest Install offers TV setup or tabletop TV installation. For your larger viewing needs Honest Install offers several projector mounting solutions with wall mount or ceiling mounted options for home or business. Honest offers a multitude of projector brackets or we can also install your projector with a customer provided mount. Projector installation services also include manual or motorized screen assembly and screen mounting. For a media room A/V installation or conference room installation please contact Honest Install for complete solutions. Not sure what you want OR need help to figure the best solution? Honest can come to you. 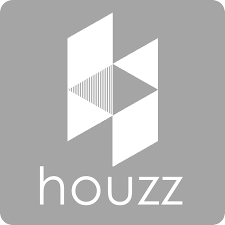 Honest Install offers on site consultations or what's often referred to as a site survey or even a pre-install. We can come to your home or business so you can receive a professional on-site consultation and expert advice to help decide the best possible configuration for your TV mounting, home theater installation, wiring, surround sound install, speaker installation, etc. When it comes to AV installation or A/V setup within Dallas Ft. Worth we deliver a thorough process, from consultation through follow-up. room, TV room or any other part of your home. We also specialize in fireplace installations (that others tend shy away from) on masonry surfaces such as: brick, stone, tile, cinder block, etc. For home theater install look no further. Give us a call, we're always happy to answer any of your questions. 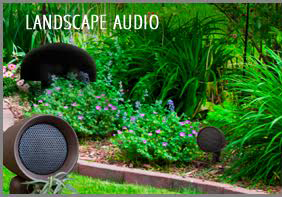 For expert surround sound installation, indoor or outdoor speakers or sound bar installation call Honest. We provide professional installation for all of your audio needs. We handle 2.1, 3.1, 5.1, 7.1 or 7.2 surround sound systems. We also offer a multitude of sound bar options, sound bar may be utilized in application for smaller rooms or where space is limited for wiring. Honest can install traditional wall mounted book-shelf type speakers, flush mounted in-wall or in-ceiling speakers and all types of sub woofers. 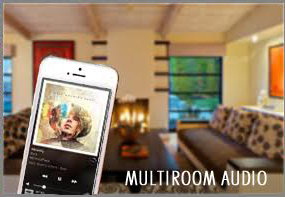 Surround sound setup is also available for those who prefer robust sound without having to wall mount speakers. Honest Install offers Bose installation including all Bose Home Theater Systems such as Bose 5.1 Channel Systems, Bose Lifestyle, Bose V-Class, Bose 2.1 Channel Systems, Bose Cinemate and Bose 321 Systems (a.k.a. Bose 3-2-1 or Bose 3,2,1). Honest Install offers in -wall installation for all of your Bose Speakers or Bose Surround Sound Systems as well as basic setup and user education. Bose install is available for most Bose audio products. Trust the installation and setup of your Bose products to Honest Install, bringing to life creative, unique and professional methods to integrate robust, rich Bose sound to your home entertainment experience. Honest Install is able to install and seamlessly integrate your Bose Sound System into your already existing entertainment setup or we can create a custom designed audio/video installation centered around your Bose products. Call Honest Install today for Bose A/V installation solutions. Wiring or what we refer to as wire concealment can be a fine art, often times the difference between a seamless or hidden look, and a mess. for your TV, projector and/or components. From in-wall wire concealment to providing and installing the component/device cables such as HDMI, Component, Composite, S-Video, VGA, Optical, Coax, Cat5 and others, we have the pros that know how to give you that clean "no-wire" look you want. We offer professional A/V installation or AV install for places of worship, schools, medical facilities & offices, hotel/motel & hospitality, restaurant industry, bars, sports bar, clubs, and other non-residential facilities. 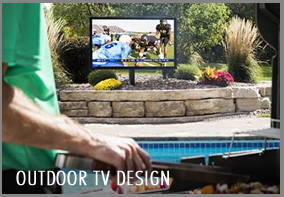 We also offer turn-key TV installation for digital signage & PC monitors. Our multi media installation services include video walls (also know as a mosaic or TV tiling), TV cubes, TV wall mounting, dual mounts, quad mounts and more. From AV design to implementation Honest Install can create a custom A/V solution for any application. 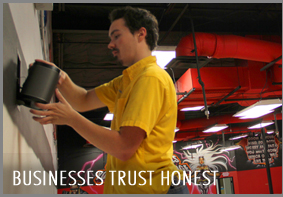 Trust Honest for your commercial TV installation and commercial TV mounting needs. Working with a fireplace to mount a TV is not always easy and others tend to avoid tv installations above a fireplace but not Honest. We are often asked "Can you even install a TV over my fireplace?" or "I need some fireplace TV design ideas" and the answer is most always YES, no problem! We specialize in how to install a flat screen TV above fireplaces. Whether with or without a mantle, masonry, marble, granite, wood, gas, brick, stone, tile, wood or drywall/sheetrock Honest Install can handle your fireplace TV mounting we mount LED, LCD or Plasma TV's above the fireplace as well as speaker mounting for your sound system above the fireplace. With ample experience in dealing with fireplaces of all sorts, old and new, we will professionally and successfully mount and install your television above the fireplace so you can enjoy your TV at the focal point of the room as well still use your fireplace during the cold season. Need help to hook up, setup or configure your devices? Want all of you cabling nice and neat looking? Honest Install offers white glove setup including connection, programming, troubleshooting and education for devices and components such as: X-Box, Xbox One, Nintendo Wii, Playstation: PS2, PS3, and PS4, VCR, Tivo, Roku, Apple TV, Chromecast, DVD, Blu-Ray, Stereo, Tuner, Audio Receiver, DVR, A/V Amplifier, Switches, Radio, Satellite Radio, Cable Box, Satellite Box, Splitters and Selectors. Don't require your TV to be wall mounted then take advantage of our tabletop TV setup for your flat panel, rear projection, DLP or traditional tube TV. But before the TV can go in place perhaps you need assistance to assemble your furniture. Furniture assembly for entertainment centers, media furniture, TV stands or carts and/or home theater racks is offered by our handy pros. We also are now offering universal remote programming and Logitech Harmony remote control programming. Trust only Honest for your audio hookup or video hook-up needs. 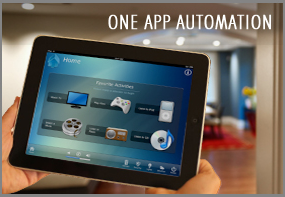 Tired of having several Remotes and the frustration that comes along with controlling multiple components and devices? With the Logitech Harmony series of Remotes available from and programmed by Honest Install controlling and mastering your home entertainment system is simplified with one-touch commands. Honest Install offers the whole line of Logitech Harmony Remotes and programming for your home theater and home entertainment systems. Honest Install can program or re-program your existing Remote(s) or provide a Logitech Universal Remote model delivered complete with on-site custom programming. Honest Install programs the Logitech Harmony 300, Logitech Harmony 650, Logitech Harmony 700, Logitech Harmony 900, Logitech Harmony 1100, Logitech Harmony One, and all other Logitech Harmony products, including RF Base Stations and installation of Logitech RF Wireless Extenders. Honest Install can deliver and custom program the Universal Logitech Remote of your choice which is compatible with virtually thousands of televisions/projectors and components. Logitech Harmony Remotes programmed by Honest Install are rechargeable with self correcting, intuitive on-screen help. Allow Honest Install to provide a one-remote Logitech Harmony solution for your home entertainment system. Call today for pricing and model features. Honest Install, your expert TV installers, have not only lead the way in TV installation & Audio-Video services here in the Dallas, Ft. Worth area but we also offer TV de-install or Home Theater de installation services for those moving or relocating. If moving locally Honest Install can even re-locate your TV or electronics and re-install them for you. If moving out of town we offer our professional removal and packaging service so you can safely transport your flat panel TVs and/or electronics to you new destination. Recently debuted by Honest Install our new electronics haul off and electronics recycling service whereby we can come to your location and perform a professional removal and subsequent earth-friendly disposal of your old or obsolete electronics (i.e. TV's VCR, DVD, PC, etc.). our: Match My Install™ service, whereby we will try to meet or beat a competitor's valid written quotation for your project.